The Court of Appeal, Sokoto Division, has on Monday set aside the Zamfara High Court’s decision that recognised the primary elections held by the All Progressive Congress (APC) in the state and declared that INEC accept the party candidates for the elections. The suit was instituted by Senator Kabiru Marafa, Chairman of the Senate Committee on Petroleum (Downstream), and 129 chieftains of the APC in Zamfara State. They had approached the appellant court arguing that the State High Court lacked the jurisdiction to entertain the suit and that its ruling was null and void. The court through the Presiding Judge, Justice Tom Shaibu Yakubu, said the lower court has failed to evaluate all evidents presented before it before giving its verdict on the matter. Justice Yakubu, who delivered the unanimous judgement, said all evidence placed before it had shown that the respondents (APC and others) did not conduct the primary election which, according to the judges, contravened electoral law. The Court also faulted the trial court for having relied heavily on oral evidence in taking its decision, saying “oral evidence cannot be used to discredit any written evidence. A procedure must be followed whether there is an order or not. “This court, hereby, sets aside the judgement of the trial court. This must be a hard and bitter lesson for all political parties who will not follow the guidelines laid before them,” part of the judgment reads. On the lack of jurisdiction to entertain the suit as argued by the appellants, the Appeal Court submitted that the lower court has power to determine such case in accordance with the law and, therefore, ruled in Respondents’s favour. 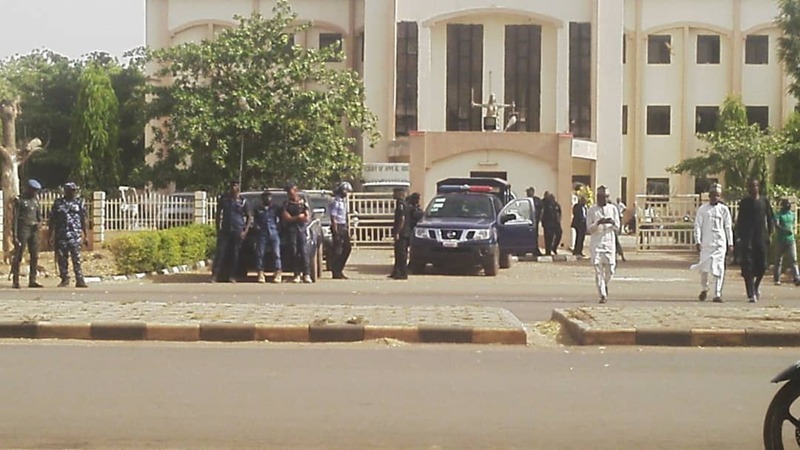 Before the judgement, security was beefed up at the main road and gate leading into the court complex situated along Kaduna Road of the Sokoto metropolis.